This is the story of the greatest empire the world has ever known. Simon Baker charts the rise and fall of the world's first superpower, focusing on six momentous turning points that shaped Roman history. Welcome to Rome as you've never seen it before - awesome and splendid, gritty and squalid. 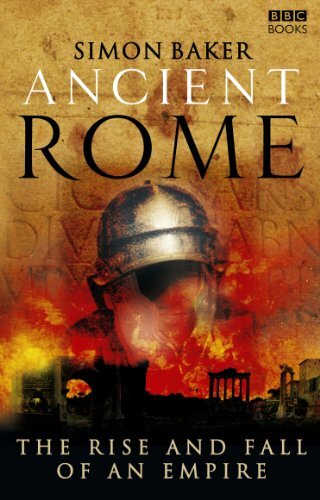 From the conquest of the Mediterranean beginning in the third century BC to the destruction of the Roman Empire at the hands of barbarian invaders some seven centuries later, we discover the most critical episodes in Roman history: the spectacular collapse of the 'free' republic, the birth of the age of the 'Caesars', the violent suppression of the strongest rebellion against Roman power, and the bloody civil war that launched Christianity as a world religion. At the heart of this account are the dynamic, complex but flawed characters of some of the most powerful rulers in history: men such as Pompey the Great, Julius Caesar, Augustus, Nero and Constantine. Putting flesh on the bones of these distant, legendary figures, Simon Baker looks beyond the dusty, toga-clad caricatures and explores their real motivations and ambitions, intrigues and rivalries. The superb narrative, full of energy and imagination, is a brilliant distillation of the latest scholarship and a wonderfully evocative account of Ancient Rome.